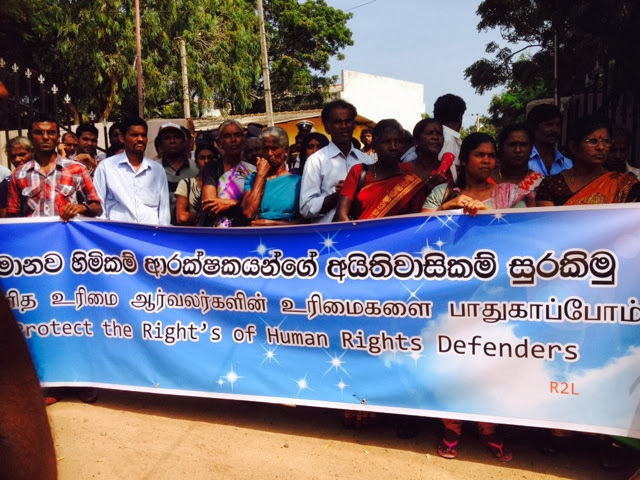 National Fisheries Solidarity together with Right to Life commemorated human right day under the theme of "protect the right of human defenders". 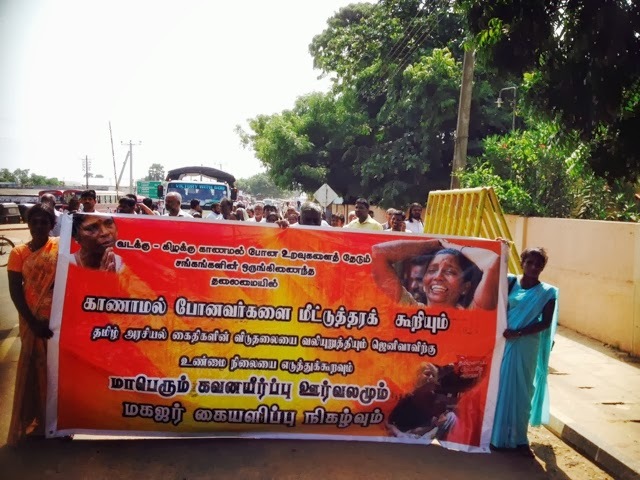 Mannar district people together with several Catholic Church fathers participated to events held in Mannar. About hundred people went to district secretary office on foot, to submit a petition on issues of human rights on general public as well as human right defenders. 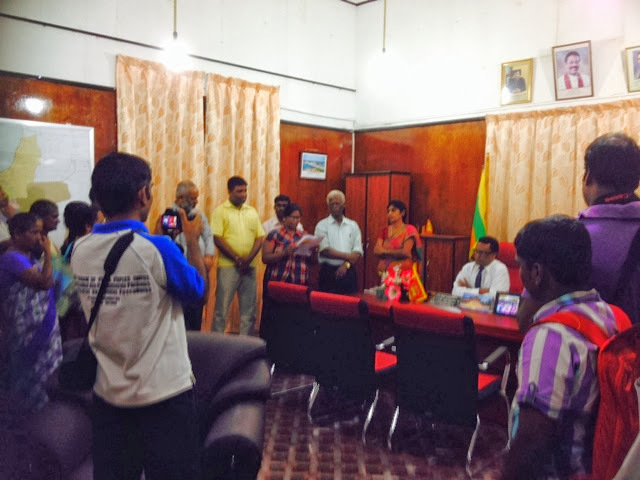 After submission of the petition to district secretary Mr. M.Y.S.Deshpriya, people went to police superintendents' office to check what is the progress of the investigation on previously made complain on life threat to human right defender Mr. Sunesh who lived in somewhere else until today, for the safety of family and himself. According to police they have taken steps to find out the person who has threatened to mr. Sunesh via phone calls.